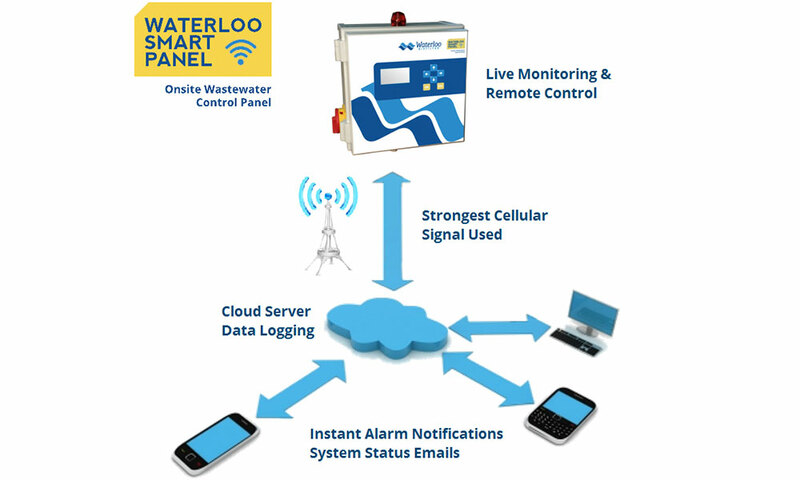 The Waterloo Smart Panel brings the ease-of-use and connectivity we have come to expect from today’s web-based technology to your septic system installation. 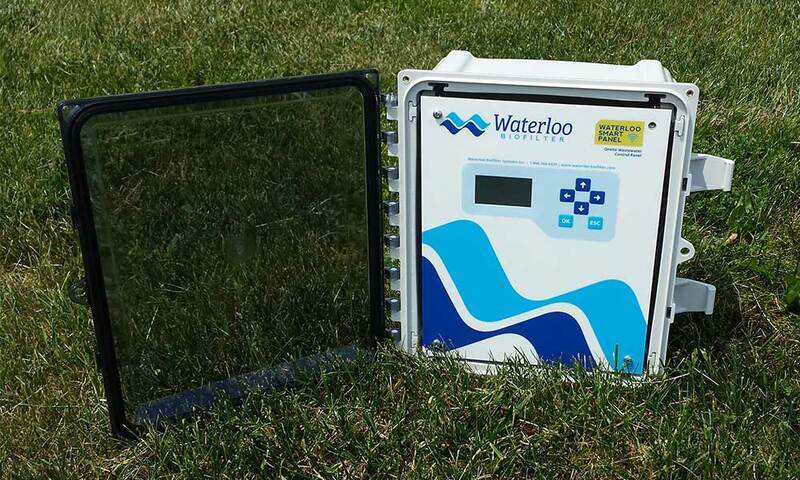 Offered as an upgrade to any residential or commercial Waterloo Biofilter treatment system, the Waterloo Smart Panel seamlessly controls, monitors, and data logs all aspects of your advanced septic system. The Waterloo Smart Panel gives you peace of mind knowing your septic system is professionally monitored 24/7. Data logs are uploaded daily from the panel allowing operators to calculate flow rates, diagnose problems remotely, and ensure the system is operating within normal parameters. The Waterloo Smart Panel provides instantaneous automatic notification of alarms via email with details on the alarm type and location. Daily status notifications are also emailed to your maintenance provider keeping them updated on the health of your septic system. The remote control feature allows authorized personnel to remotely change system settings, saving time and money by eliminating the need to physically visit the site to fix minor problems. When repair or maintenance to your septic system is required, service technicians are equipped with the real-time information they need to quickly and efficiently troubleshoot the problem before even arriving on site. The Waterloo Smart Panel operates on a dedicated wireless connection over stable cellular networks. The panel can be accessed remotely by authorized personnel to check system status, silence alarms, or even reprogram parameters such as pump modes and schedules. 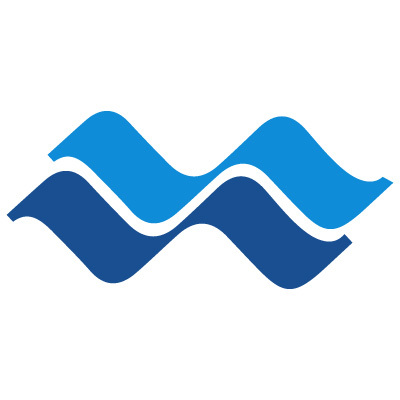 Waterloo Smart Panels are custom built to suit the technical needs of most any residential or commercial wastewater treatment system. They can be scaled up to interface with numerous pumps, fans, UV disinfection units, and other system components. Input devices such as float switches, flow meters, digital transducers, and dissolved oxygen sensors can be interfaced to the panel to better monitor and log the system’s activity. All logs generated by the Waterloo Smart Panel are stored on a cloud server for easy access and analysis.